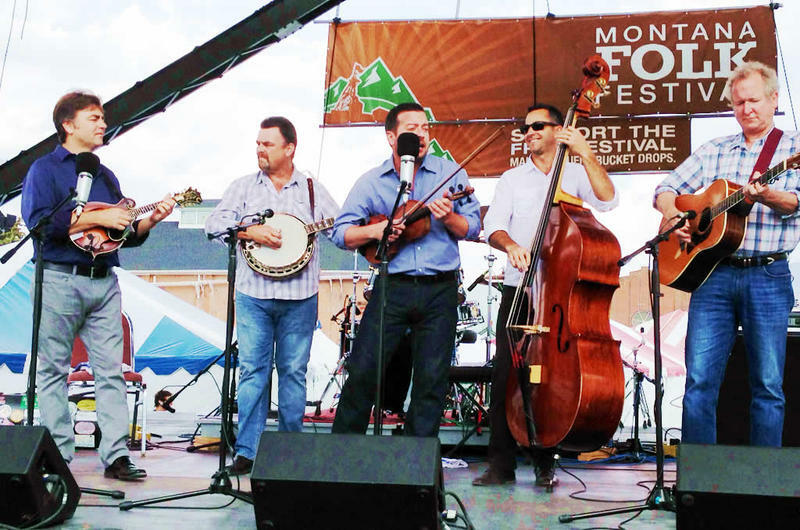 The 2017 Montana Folk Festival is July 7-9 in Butte, Montana. Tune in to Montana Public Radio to hear music live from the festival Friday and Saturday. Michael Marsolek: Good morning and welcome to Front Row Center the Montana Public Radio Arts interview. I'm Michael Marsolek and I'm in Butte today talking with George Everett, the executive director of Main Street Uptown Butte. All sorts of things happening coming up this summer, especially the Montana Folk Festival. Montana Public Radio will be returning to broadcast live this year and we're excited to talk about that some. But certainly a busy time. All sorts of activities happening here regularly in Butte, right? George Everett: Actually, we just are in the middle of the one 100th anniversary of the Granite Mountain Mine disaster, and I think a lot of people have heard about that. There's a an original production at the Motherload theater tonight. "No Greater Love" is what's called. And that I hope they repeat it because it's a wonderful production and it's totally original. Gary Funk and others have been involved in producing that. But that's June. And then towards the end of June we're looking at the farmer's markets every Saturday which we produce. Coming up. Things really start picking up speed the first week of July. The Original Stage during the 2016 Montana Folk Festival. July 3rd we have a event called the Big Bang which is a pre fireworks kind of extravaganza. We have food vendors and music and people who are there to watch the fireworks would come around at dusk, which are sponsored by the town pump foundation the Kenneally family, they they invest quite a bit of money in a fantastic, spectacular show that comes off of the big Butte up on the Hill in Butte. People get to watch that, well from their backyard, or come down and join their neighbors and friends and family at the Big Bang. But then July 6 we have a special fundraiser for the folk festival called the Montana Folk Feast. We have chefs coming in from out of town and from Butte here. We're calling it a art event, food art. They're going to be making some wonderful food. It's a fundraiser for the Montana Folk Festival, which then starts the next day. Seventh eighth and ninth of July we have the Folk Festival. I didn't mention that we do have music for the night of the Montana Folk Feast on the 6th, if people want to check it out. We have a beatbox artist named Butterscotch, which is kind of new for us and fun. We're looking forward to having her in Butte. She can't stay for the Folk Festival, but she is going to be here for the Folk Feast. Michael Marsolek: If people want information on how to participate in the Folk Feast What's the best place to go? George Everett: If they use Facebook, that's the best way. There's a Facebook event page for Montana Folk Feast. You can buy tickets directly from Facebook if you want, or get more details about the event itself. It is going to be at the dance pavilion which is a tent on the site of the Folk Festival that will be set up and then we'll just converted into a venue for this other event before the dance stage is set up the next day. Michael Marsolek: As I mentioned, Montana Public Radio's returning. We actually broadcast the first two years of the National Folk Festival. And for those that don't know the Montana Folk Festival has been continuing now, it's actually the tenth year on the site here in Butte Montana. And it certainly is one of the success stories that continue. 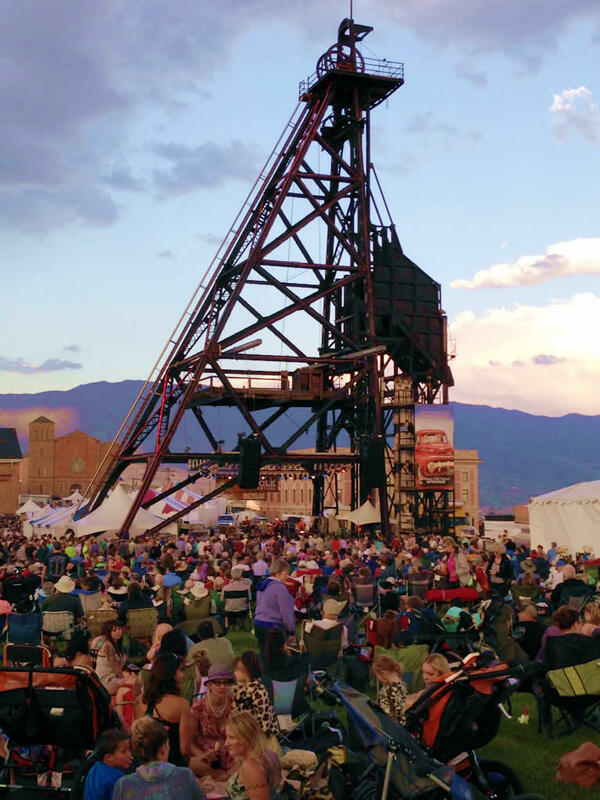 The National Council for the Traditional Arts puts on this wonderful long running National Folk Festival and then communities and organizations are offered an opportunity to continue, and Butte has very much embraced that idea and continued with many years. We're happy to be back and we'll be broadcasting live Friday night and many hours on Saturday as part of this year's Montana Folk Festival. George Everett: Well I would like to add too that it's the Montana Folk Festival, and we could not do this without people from around the state. We have people who are key organizers who are from Helena, Missoula, elsewhere. We call Butte the festival city, we have other events going on. The Montana Folk Festival really is a statewide event. We like to think of it that way and to make it that way so that people feel like this is their event and that they can come to Butte and visit. And it's here in our town, but it really is something that brings people from all over Montana, and we love that. George Everett: Bruce Digrapont from the Cajun band. We bent the rules this year because it is the 10th year. We have a music programming committee and we said who would you like to see again to return? The votes were hands down and Quebe Sisters from Texas who are 10 years older but don't look any different, it's amazing. Clinton Fearon.We like to have reggae every few years. And Clinton was the first one to kick it off and was very popular. And we always get people, they say bring that person back next year. And they would have the same performers every year if we let that happen. But we try to keep it new and fresh. But these are exceptions to that rule because this will be the 10th year. Michael Marsolek: As part of our live broadcasting we'll be joined by Nick Spitzer the host and creator of "American Routes" on public radio stations. Some nearly 300 stations around the country carry the of course Montana Public Radio does as well. He and I will get to host our live coverage, and again from 1 to 11 p.m. on Saturday and 7 to 11 p.m. on Friday night as part of the festival. But the festival, George, goes for three days all the way through Sunday at 6 p.m. and there's actually six stages. George Everett: Last year the theme was native voices and we set up a tepee encampment in the corner of the original mine yard where the main stage is and we're going to do that again. We're bringing back a person who builds tepees. The original nine yard is a head frame from the heyday of mining. And underneath that head frame we have the main stage. That's the original mine yard. It's got spectacular views of the mountains that surround and the tall historic buildings. But we also have five other stages. We have a folklife areas stage featuring this year, instrument makers from around Montana. Some of them will be performing on their instruments that they make Bruce Weber for example, of Weber Mandolin fame. The other stages are the Seacast Stage which is a larger venue. Broadway Stage which is a more intimate stage. The Granite Street, which we call the sound Canyon, which is not covered it's just on Granite Street and it's a really fun environment and the music just bounces off of the tall buildings around it. And then we have the Montana Dance Pavilion which is to encourage people to dance. We have a dance floor that will be set up there and usually people have a whole lot of fun there. Michael Marsolek: Well Montana Public Radio's returning to Butte with sponsorship and support from Main Street Uptown Butte and the Festival, to be able to broadcast live, but lots of organizations and groups that support the thing. The festival is actually free and open to the public. You do pass buckets and other things but this is something that the community has really embraced. But you've been able to keep it as a free festival which is really important for you right? George Everett: The National set that bar and we've tried to maintain that and we will continue to maintain that. That's a cornerstone of the event is that it's free admission to all. People who can't afford it can come and be exposed to bands that they otherwise would pay $25, $40 to see in a venue and they play two or three times over the weekend. So it's really an opportunity for people who might not otherwise be able to afford or even some of these bands you couldn't even find them in a venue. So it's an amazing opportunity and we hope that people come and take advantage of it. We do have people collecting money on the site. If people feel like they want to contribute to it, but that is one way that we keep it free. It's been free for, this will be the 10th year. And there is no charge for anything; well, unless you want to buy food or something like that. But all the performances are free of admission to everyone. Michael Marsolek: And George, I was also going to ask about basically what you recommend for people coming to Butte for the festival. There are people who travel in for the day, people who look for lodging, camping, that kind of thing, and you probably have a few recommendations for folks wanting to come to Butte. Again the Montana Folk Festival weekend is July 7, 8, and 9. George Everett: People do come in from far and wide and we have a limited number of hotel rooms. So they might want to check. But what we do to kind of offset that just a bit is to open up all the municipal parks to free camping. People can stay if they bring a tent or an RV. There's places they can park and camp throughout the community. And there are hotels and motels in surrounding communities like Bozeman, Helena, Dillon, Anaconda. So depending on what level of comfort you want, it might be available. But as it gets closer it does get tighter. So I would just wish we had more space for people, but they're filling up fast. Michael Marsolek: Well, we're sure excited to be joining you once again in Butte. I've been talking with George Everett today, the executive director of Main Street Uptown Butte. 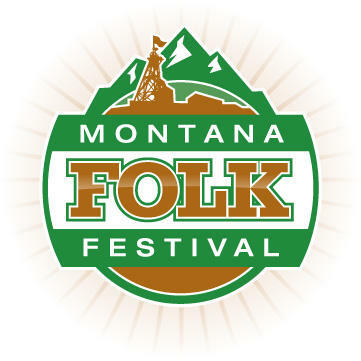 Montana Folk Festival taking place the seventh, eighth, and ninth of July in Uptown Butte. And the Montana Folk Feast, the special fundraising event is happening on Thursday July 6th. And if people want contact information Web sites what do you want to give out in closing here? 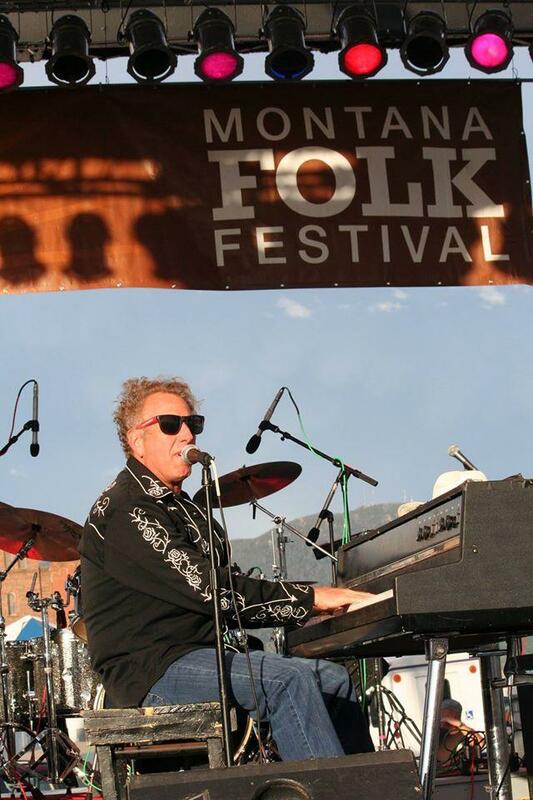 George Everett: Facebook: @mtfolkfest or our web site Montanafolkfestival.com or they can call 406-497-6464 and we'd be happy to give out any information we can over the phone if they prefer make phone call. Michael Marsolek: And Montana Public Radio has other things at our website as well and will continue as we get closer to the live broadcasting time and the festival time. mtpr.org for links and follow up. Thanks so much George. George Everett: Thank you very much Michael. We're really excited that you guys are going to be at the festival and we can't wait to have you on the Original Stage.